The past few weeks have been a whirlwind, as the final days of the year always are. As 2017 begins, I thought it would be fun to look back at what I made in 2016. I did some spinning over the summer, although not as much as I would have liked. I added quite a few blocks to the two knit scrap afghans that are in progress. Names were embroidered onto our Christmas tree skirt, and I finally finished hand quilting the quilt that I started decades ago. I read books about lettering, typography, knitting, quilting, and creativity. And, of course, there were the miscellaneous repairs of clothing and toys that always crop up. I don’t have many specific plans for 2017. My main goal is to finish the binding on the hand-quilted quilt. I have a few other quilting projects in the works and there are two I have in mind that I’d like to complete. I’m in the mood to knit a sweater but I’m not sure if my stash will accommodate a project of that size; I may need to get creative with yarn combinations. I’m sure there will be spinning, socks, more blocks on the scrap afghans, more books, and projects that I haven’t begun to imagine yet. For Christmas, I was fortunate to receive a few creative tools as gifts. I’ve been using my children as hat models, but since they’re at school all day it can be challenging to take photos in good sunlight. 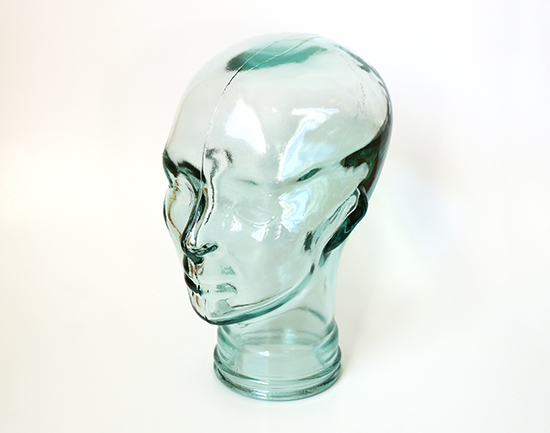 The glass head will allow me to take pictures of hats when the light is good whether I have models available or not. Over the years, my set of US-3 (3.25 mm) double-point knitting needles has dwindled from five to three needles. My old plastic set of US-7 (4.5 mm) double-point knitting needles has seen better days. Now, I have a new set of each. As a bonus, one set came with a pack of stitch markers. I was also given a gift card to a local craft store. They sell yarn and quilting fabric, as well as supplies for a wide array of other crafts. I’m looking forward to browsing the store and being inspired by new ideas. What projects do you have planned for the new year?